Manhattan, NY The Pod Hotels has opened its flagship property, Pod Times Square. A BD Hotels property (The Mercer, The Marlton, The Bowery, The Maritime, The Greenwich), Pod Times Sq. 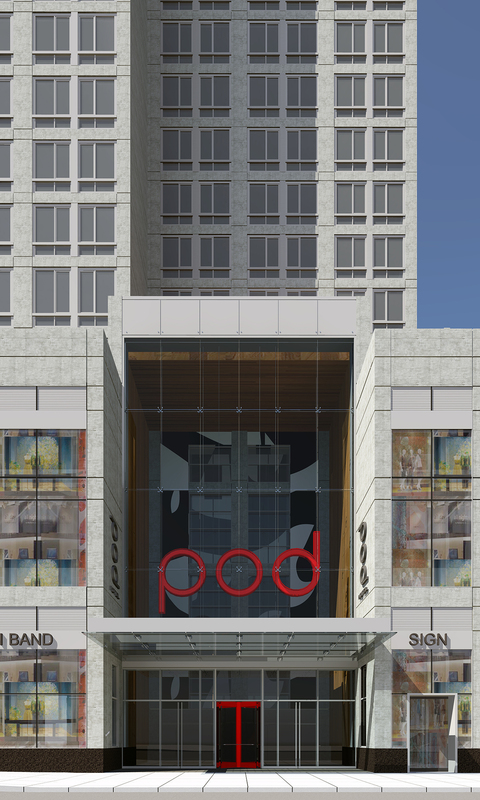 becomes the fifth asset in the Pod Hotel collection following the uccess of Pod 51 and Pod 39; Pod BK, the first property in an outer-borough; and Pod DC, the first property outside of NYC. The innovative hotels’ proven micro-model boasts the highest percentage of occupancy across the entire BD Hotels portfolio. Pod Times Sq. 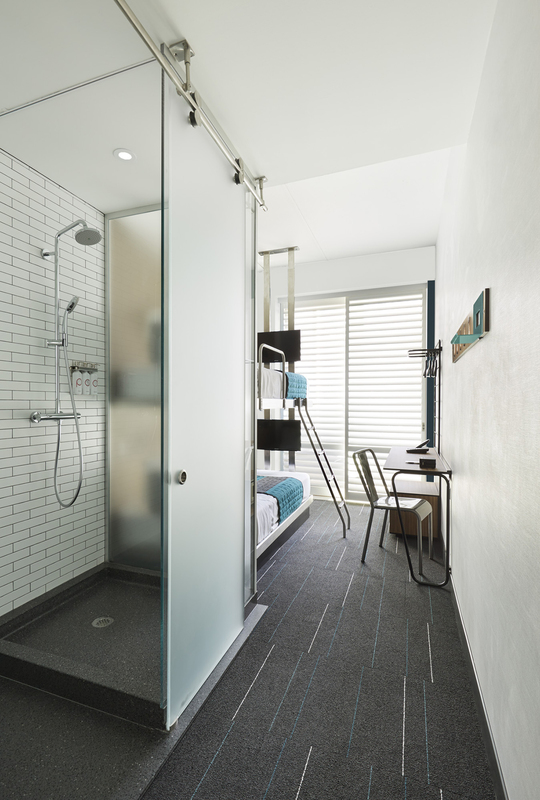 will be the biggest Pod to date and will offer accommodations that are a first for the Pod Hotels brand: micro-apartments. 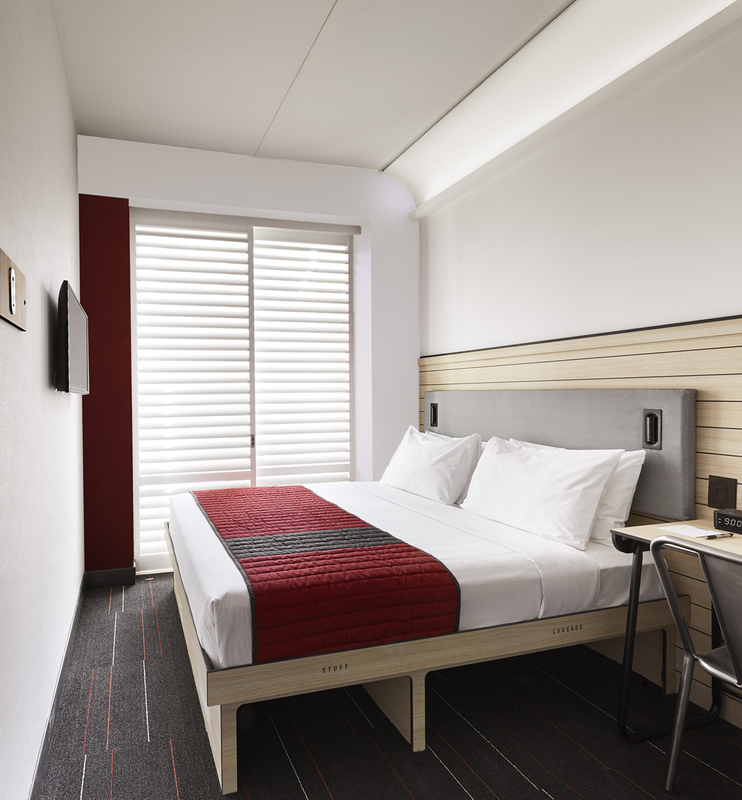 Located at 400 West 42nd St, in Times Sq., on the corner of 42nd St. and 9th Ave., Pod Times Square expands on the micro-hotel concept, offering 45 Pod Pads – living suites varying from 600 – 800 s/f available for those interested in extended-stay options or even long-term leases. Available for Pod Pad tenants, the property provides a fitness center and guest lounge on the top floor. The architect for the project is SLCE and the interior design is by Vanessa Guilford, design director at BD Hotels. As guests enter the hotel through the 60 ft. vestibule made of glass, they are then lifted up to the third-floor lobby in a glass enclosed elevator. Guests can take in the uniquely designed elevator shaft featuring a witty mural by Brooklyn native artist JM Rizzi, most notable for composing magical symphonies of shapes and forms, all pulsating into one another.